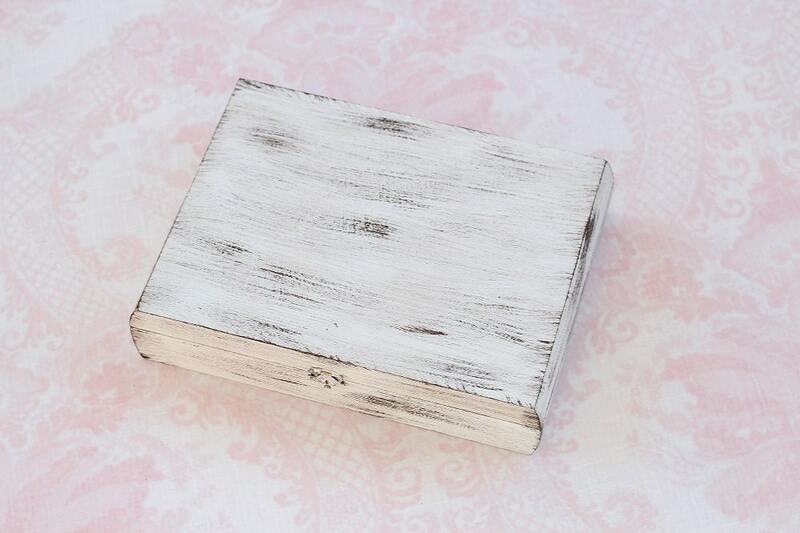 ♥ Wood box painted white w/a brown wash finish. 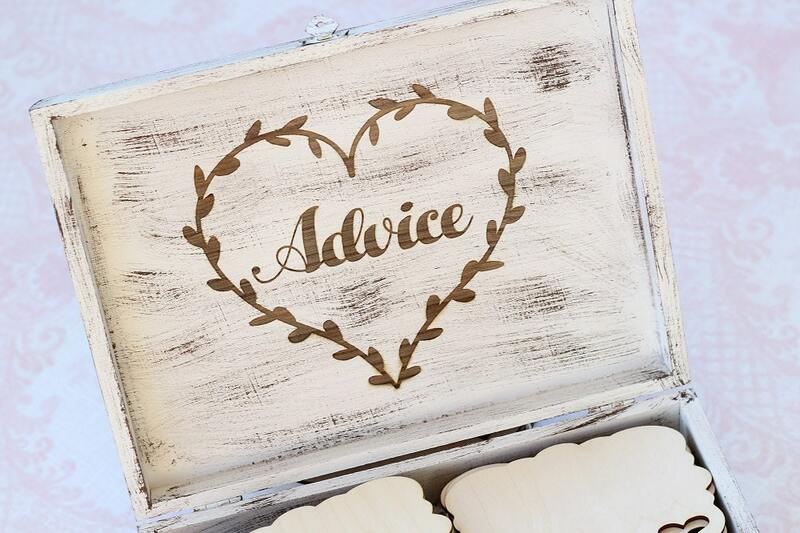 ♥ 'Advice' in a laurel heart wreath engraved into the inside of the lid. 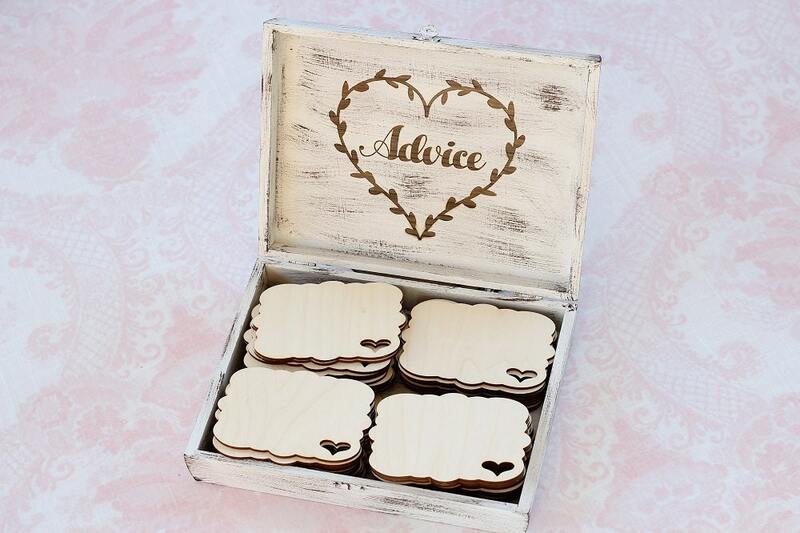 The box will accommodate up to (60) wood cards for advice and well wishes to be written on for the lucky couple.! 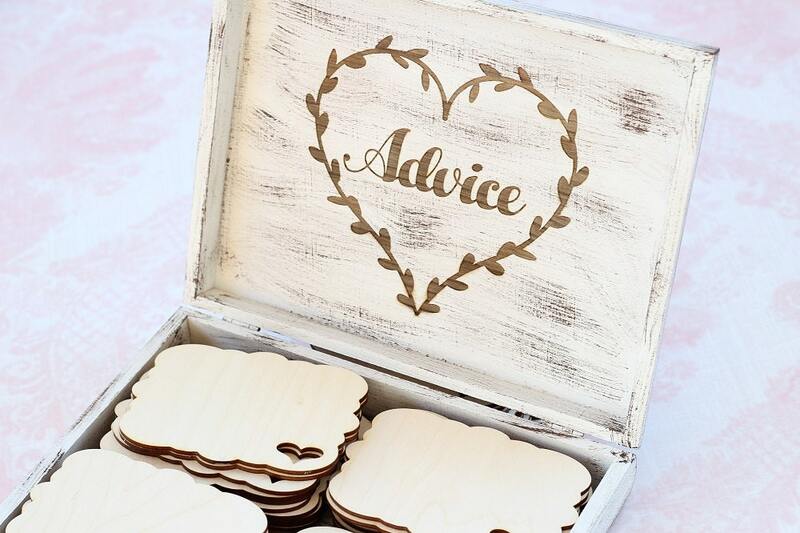 Convo us with any customization details.! Good quality. 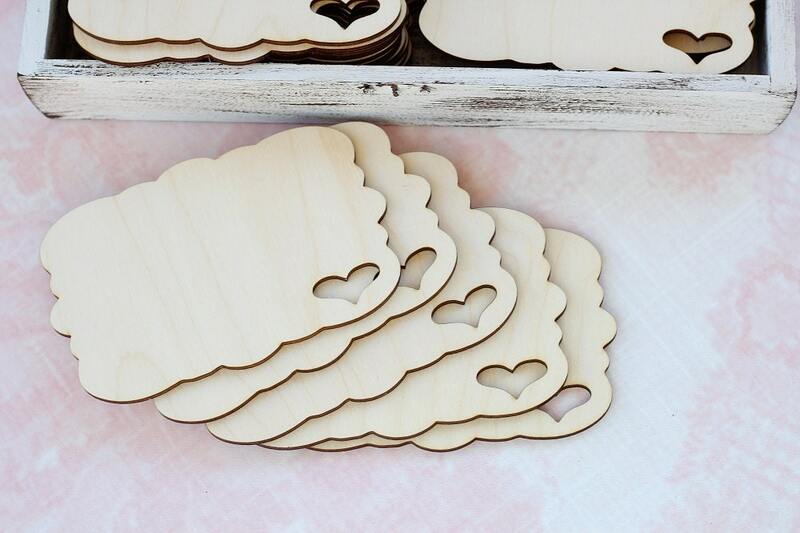 The bride loved it.